Have you had a headache that worsens when turning your head while walking? Or reoccurring migraines? You may be suffering from a dehydration headache. By the name alone, one may think it is treated by simply consuming a glass of water. Fluids will go a long way to help, but prevention of dehydration headache is the main goal. Let’s take a look at how to identify a dehydration headache. Dehydration refers to losing more water from our body than we take in. This can occur with urinating, sweating from exercise, high body and environmental temperature, or medical conditions. By not replenishing lost fluids, we can be at risk for dehydration, which can lead to serious health issues and even death. A dehydration headache is a type of painful headache felt on one side of the head, or in the front or back of the head. Some people have also reported a throbbing ache covering all areas of the head. These types of headaches are linked to dehydration from the location of the pain, although the reason behind dehydration causing a headache is yet to be determined. Researchers have found that when fluids that carry blood and oxygen to the brain lower, the head’s blood vessels are thought to narrow. This may be causing the headache we experience. Some experts believe that low fluid levels cause brain tissue to shrink, pulling this major organ away from our skull, which affects the pain sensors of our brain. In separate studies, participants with dehydration reported headaches, concentration trouble, and other symptoms that were relieved with fluid intake. This would correlate with the important lesson we have all been taught, maintain sufficient fluids throughout the day. Dehydration headaches can mimic tension headaches with pain radiating over most surfaces of the head. They can also stimulate the sensors that are responsible for migraines. You may feel pain in the front or back of the head, or it may be present only on one side. You may experience pressure across your head, a throbbing pain that increases in intensity, or even a pulsating pain. Understanding the possible causes of a dehydration headache takes into consideration the varying degrees of pain and location. There are three major types of headaches that can be linked to dehydration. When dehydration sets in and affects our muscles, we can experience tension headaches. This throbbing pain is caused by muscle spasms stimulating trigger points. These debilitating painful headaches are directly linked to dehydration in our muscles, nerves, and in the blood vessels of the brain. Our muscles stimulate pain management trigger points in our brain when there is lack of water in our muscles. The nerve cells also depend on our fluid intake to function. By not having sufficient fluid to assist the blood vessels in carrying essential nutrients, our blood volume thickens, and therefore, puts great demand on our body to pump the blood. This can lower the amount your brain receives and triggers the pain sensors. Alcohol plays a big part in dehydration as it obstructs the body from distributing water to vital organs, such as the brain. To compensate, our brain releases endorphins which causes a headache once the endorphins dissipate. The properties in alcohol hinders vasopressin secretion and the body begins to dehydrate. What Are the Signs of a Dehydration Headache? In addition to the pain that may radiate across your head, or be persistent in one location on head, you may experience other symptoms of dehydration. It is understood factors leading to dehydration include disease or illness, environmental temperature, physical activity, and high altitudes. Keep on eye for the following. The old saying is if you are thirsty, you are already becoming dehydrated. Outside body factors can cause you to lose up to two percent of your body water. Some people can be dehydrated without feeling thirsty and dementia patients can be at high risk because of this. A sign of dehydration is dryness of the skin. You can easily test the condition of your own skin by simply giving a subtle tug at the skin on back of your hand. If it immediately returns to its original state, you have sufficient moisture in your skin. You may feel an overwhelming feeling of exhaustion if you are experiencing dehydration. Without the proper amount of fluids, your blood volume will drop, resulting in your heart having to compensate by pumping blood harder to reach its destinations. Normal color for urine is a pale yellow but the lack of water in the body will cause it to present as a darker yellow. You should also note the amount of urine expelled and the frequency, as small amounts less often may indicate dehydration. As our body tissue is highly dependent on receiving great amounts of water to function, any drop in fluid levels can result in spasms of muscles. You may experience light-headedness with the decrease of blood volume levels from inadequate water intake. Dehydration can affect the nerve transmitters of your brain, resulting in changes to your memory, reaction reflexes, thought process, and concentration. As dehydration refers to a lack of water, you can treat your headache with fluids. By drinking water, your symptoms should begin to lift within 30 minutes. Avoid drinking alcoholic and caffeinated drinks, as these can draw fluid out and make your dehydration worse. It should be noted that those with kidney disease, heart disease, or a headache thought to be brought on by medication, should seek medical advice before drinking a large amount of water. Avoid activities in hot temperatures. Dehydration headaches can hit at anytime, leaving us with a throbbing pain to deal with as we carry out our daily activities. Whether it is mild or severe, we can quickly treat the pain with the simple act of drinking water. By replenishing lost fluids, we can return the body to a functioning state, despite the triggers. Know the signs that accompany a dehydration headache and prevent an recurrence by maintaining sufficient fluid intake. “Understanding Dehydration as a Headache Trigger,” Verywell; https://www.verywell.com/understanding-dehydration-as-a-headache-trigger-1719534, last accessed March 7, 2017. Brophy, K., “Dehydration Headache: Know the Causes, Sign, and Treatments,” University Health News, August 8, 2016; http://universityhealthnews.com/daily/pain/dehydration-headache/, last accessed March 7, 2017. Psaromatis, M. X., “Dehydration Headache,” Muscle Pain Solutions; http://www.natural-solutions-for-muscle-pain.com/dehydration-headache.html, last accessed March 7, 2017. 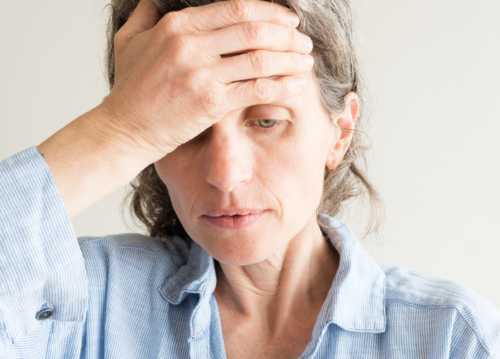 Modric, J., “Dehydration and Headache – Symptoms and Prevention,” Healthhype; http://www.healthhype.com/headache-dehydration-causes-symptoms-prevention-treatmen.html, last accessed March 7, 2017.